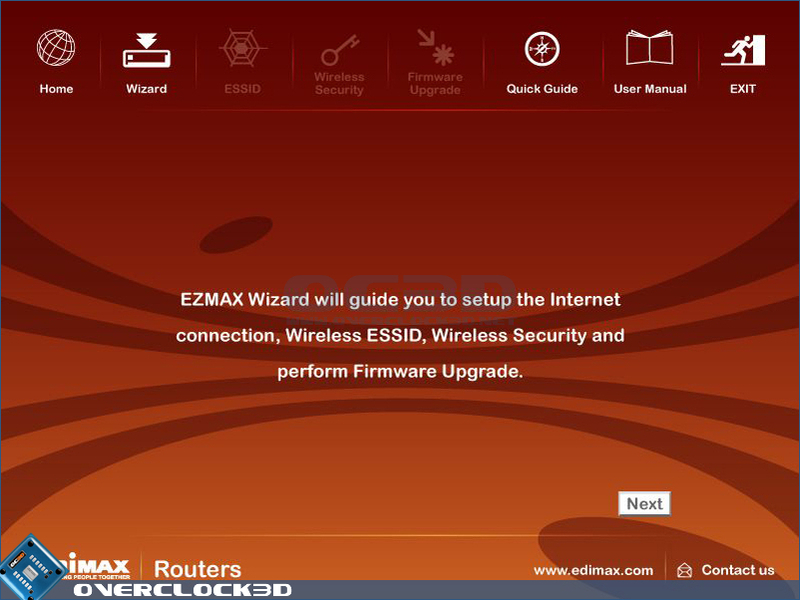 Edimax claim that the router is very simple to set up, using the EZmax setup wizard software supplied on the installation CD. We shall take a closer look to see whether these claims hold true or not. 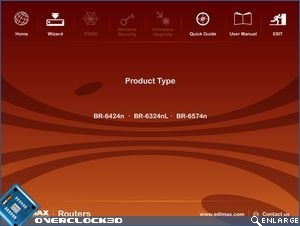 Upon inserting the CD you are greeted with the language selection page. 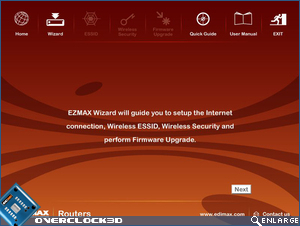 Once the relevant selection is made, you will then land on the EZmax Wizard home page. From here, you run the wizard, view the PDF manual or update the router's firmware. 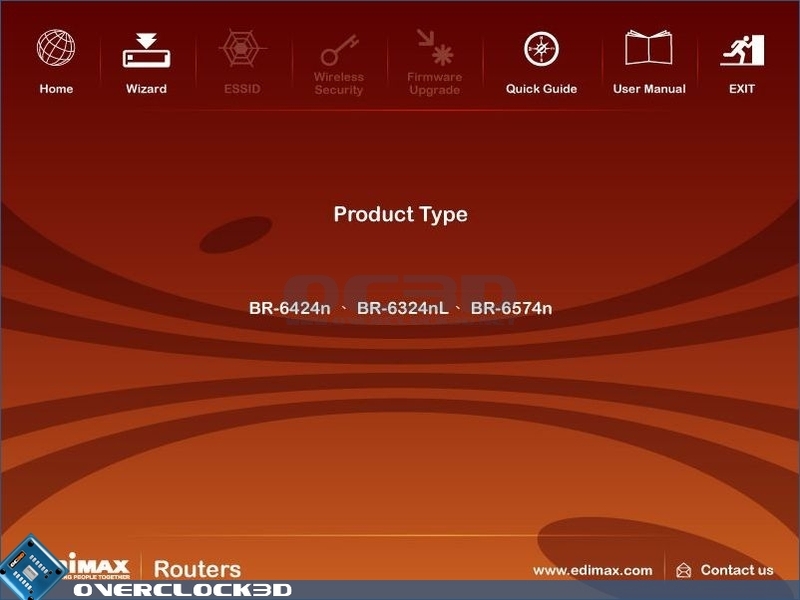 for the purposes of the review, we went straight to the setup wizard. 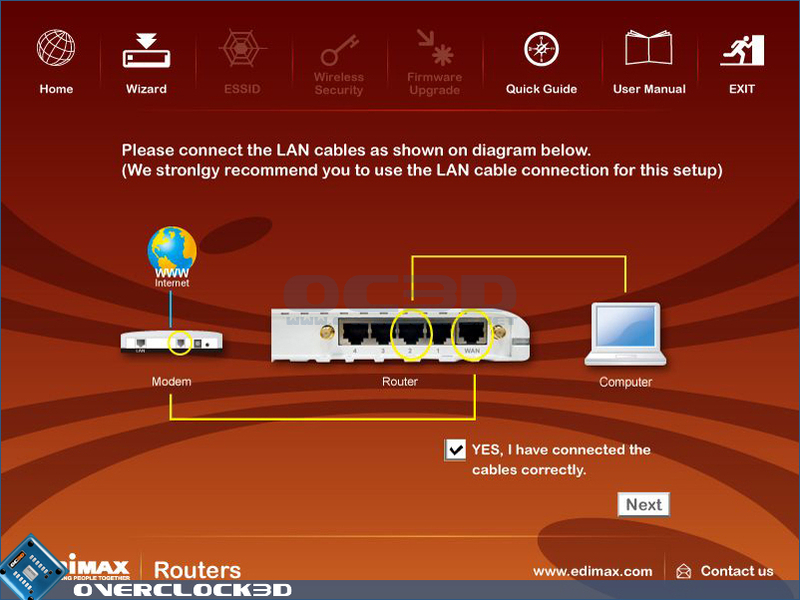 Once you begin the setup, a diagram is shown, which shows correct ethernet cable placement. 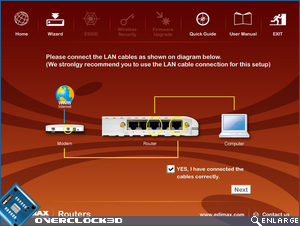 The wizard will then ask you to confirm you have connected the cables correctly, before moving on to the next stage. 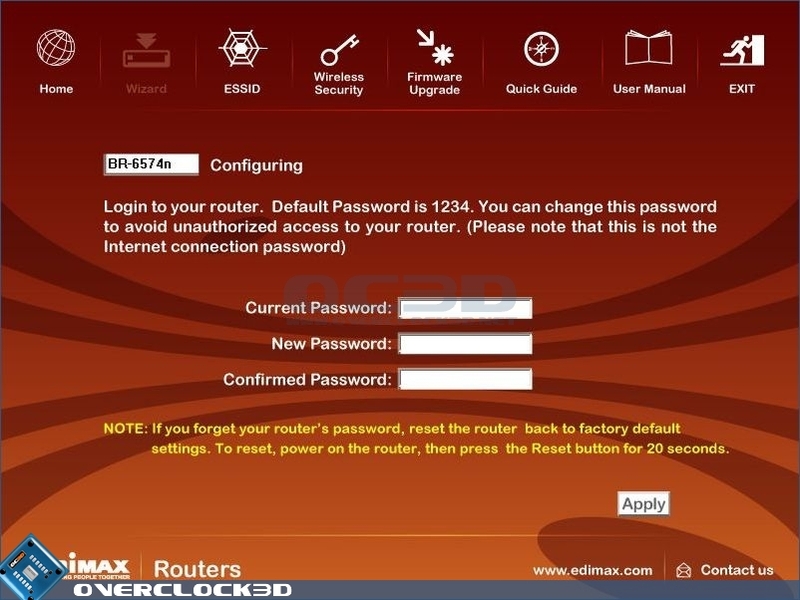 The next step will ask you to confirm the exact model of your router, and then you are asked to set a password for the router, which will allow access to the router's settings home page. 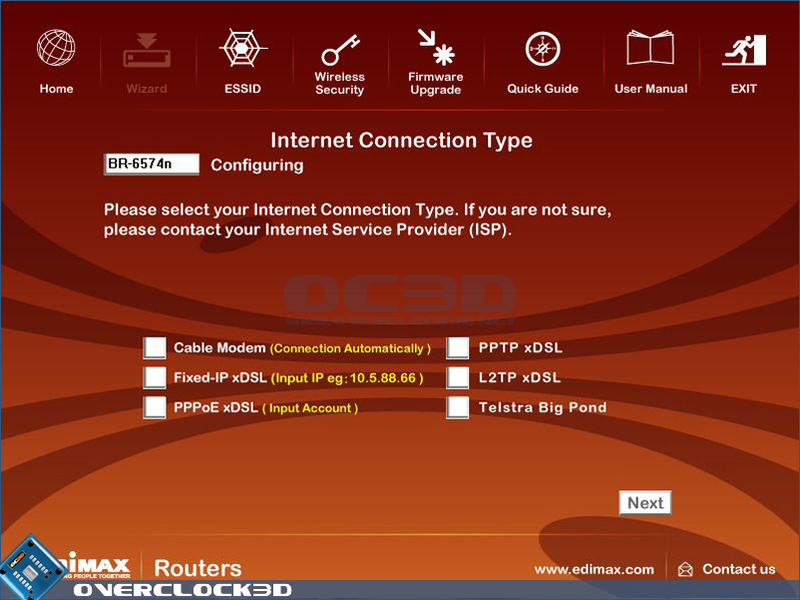 Next steps are to confirm the type of modem you will be using with the router, which in my case was a Virgin Cable modem. 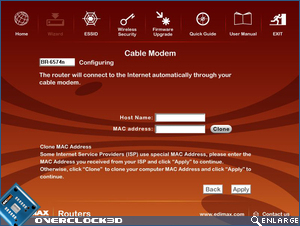 You are then asked to set a host name and to enter the MAC address from your ISP (if supplied). 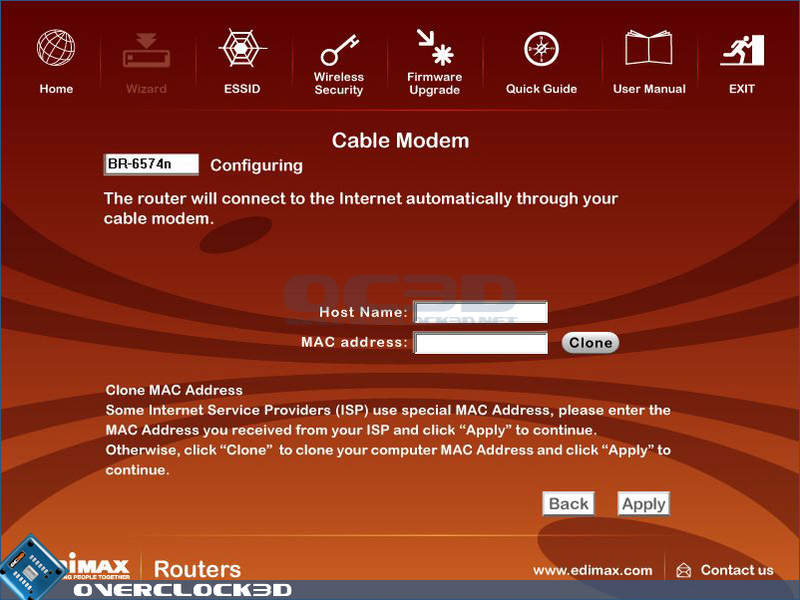 If you don't have a MAC address from your ISP, you can clone the PC's MAC instead. 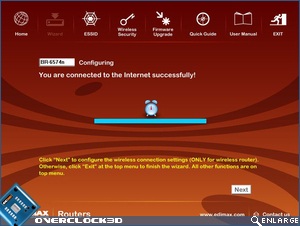 After all the steps above have been taken, the router will begin to establish the internet connection. It took a couple of minutes in my case, but worked without any hitches. 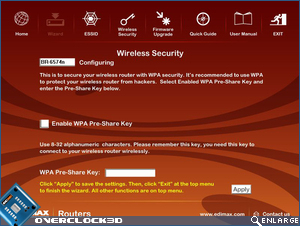 Finally, we come to the basic security setting for the wireless connection. 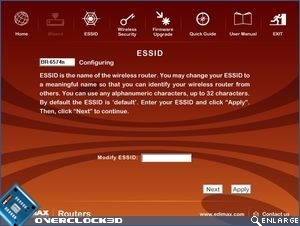 You can set a memorable ESSID (Extended Service Set Identifier), which will allow you to easily identify your wireless network when connecting from a client PC. 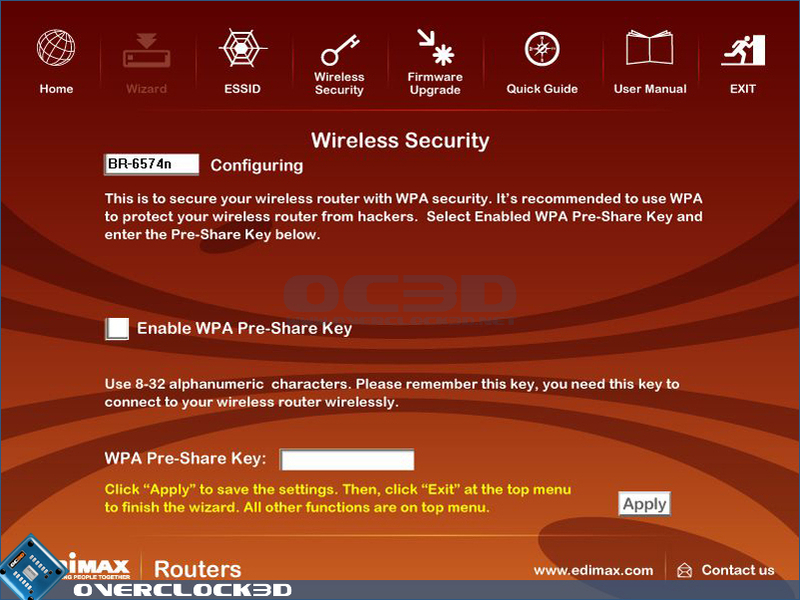 You can then set a WPA Pre Share Key, which will be asked for when connecting from a client PC. 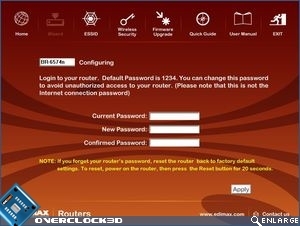 One you have completed all this, the router is then ready to go. 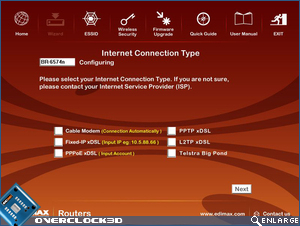 You can enter the routers setting home page (via an internet browser) to make further advanced settings changes. 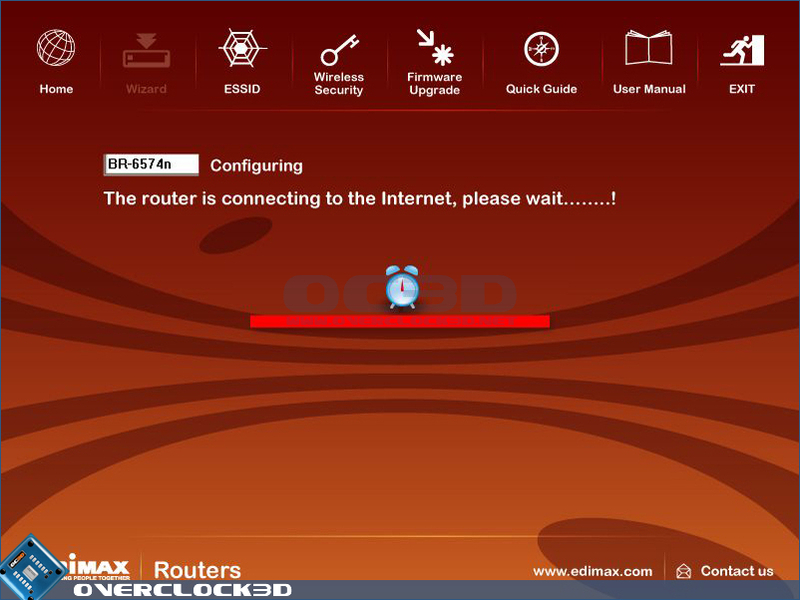 In all, the EZmax setup wizard worked flawlessly, and getting the router up and running really was both quick and simple. 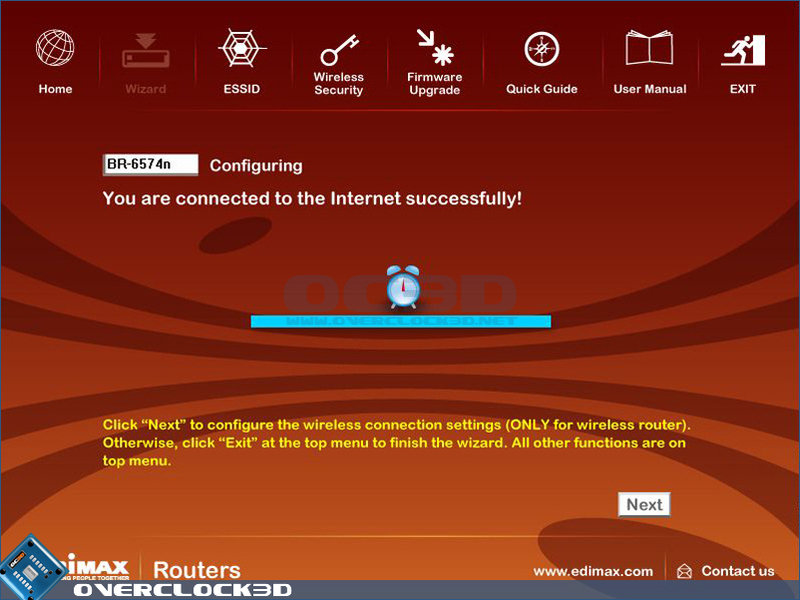 Options where a networking novice may stumble were clearly explained, and the PDF manual goes more into detail should it be required. 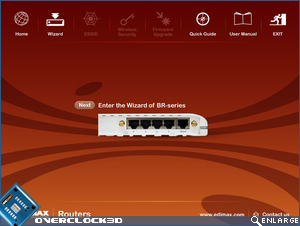 There are enough options within the wizard to ensure that the connection is functioning correctly and the wireless connection is secured. 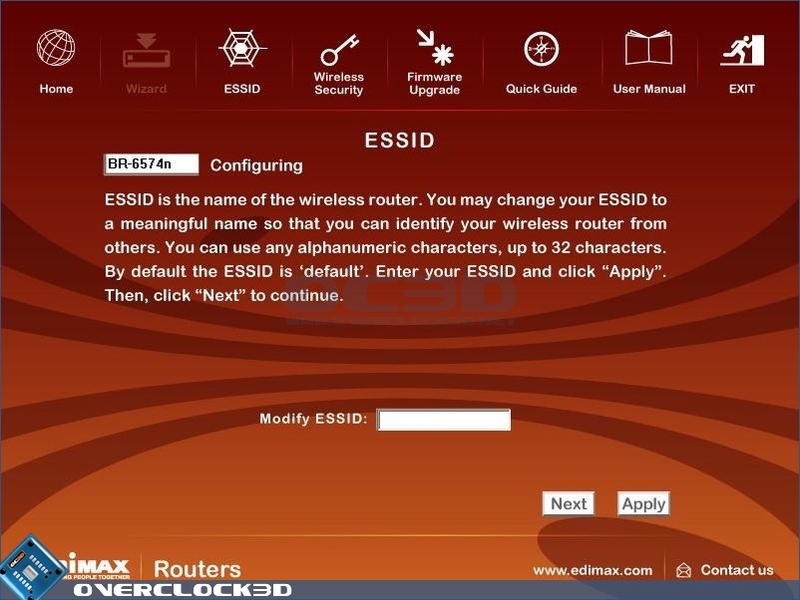 It should be remembered though, that there are alot of features of the router that may need configuring in the browser based advanced settings. 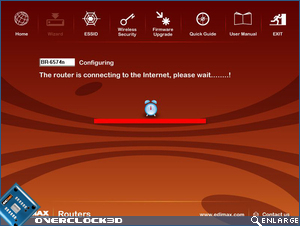 So with that, lets take a look on the next page.